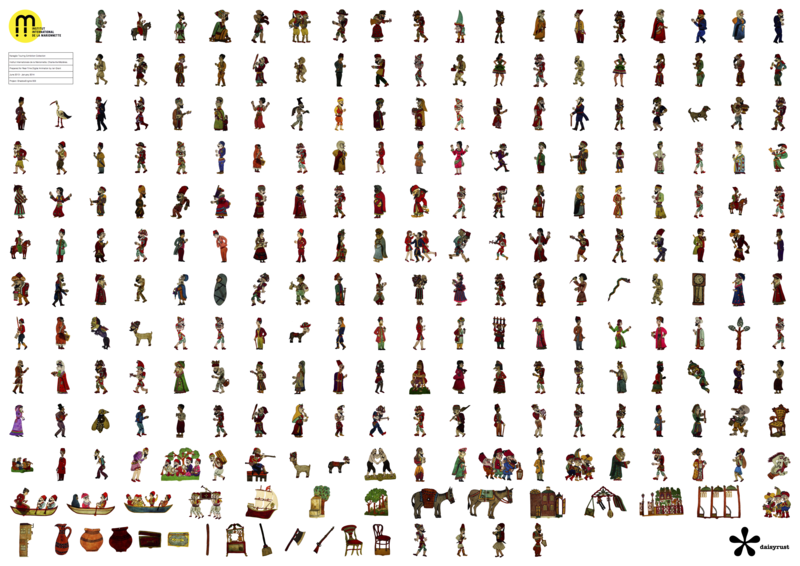 The IIM's Karagöz collection - digitised for ShadowEngine. The IIM generously funded a research residency for me to explore their archives. The figures are scans from a collection held by the Institut Internationale de la Marionnette, France. My methodology follows the pattern of ‘media archeology’. It seeks rich documentation of puppet media forms. Therefore, I have a research interest in performance documents and historical material. I have a need to research design material: evidenced by photographs, drawings, diagrams, patents and material artefacts. Evolution of the code and content of the ShadowEngine. 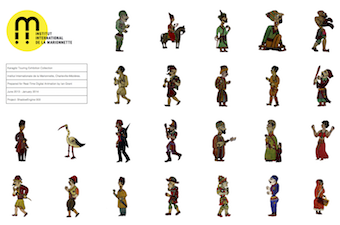 A set of Karagöz atlas images for games development. An iOS app demonstrating the animatable assets.